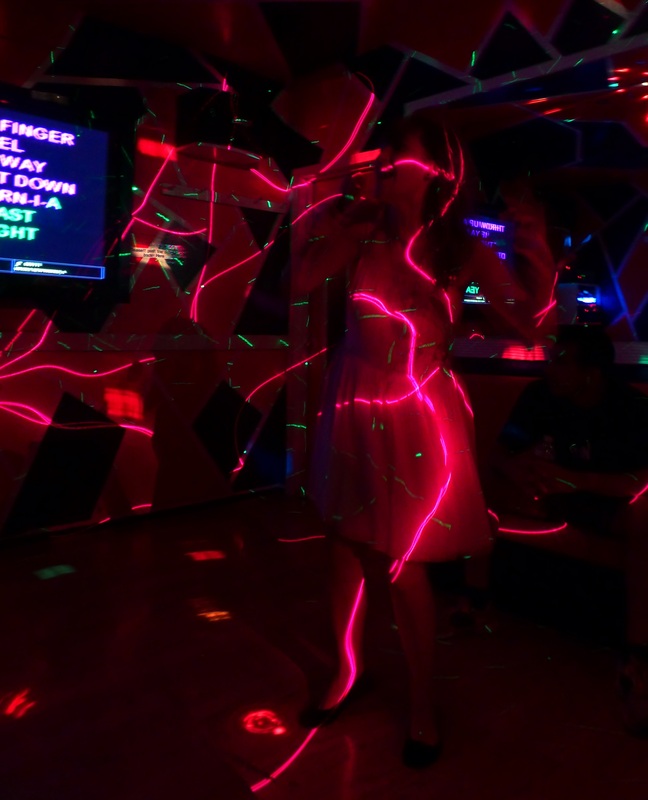 Tonight Rachel, Louise, Ollie and I headed to Koreatown to sing karaoke with some NBC folks we met at the bowling league. 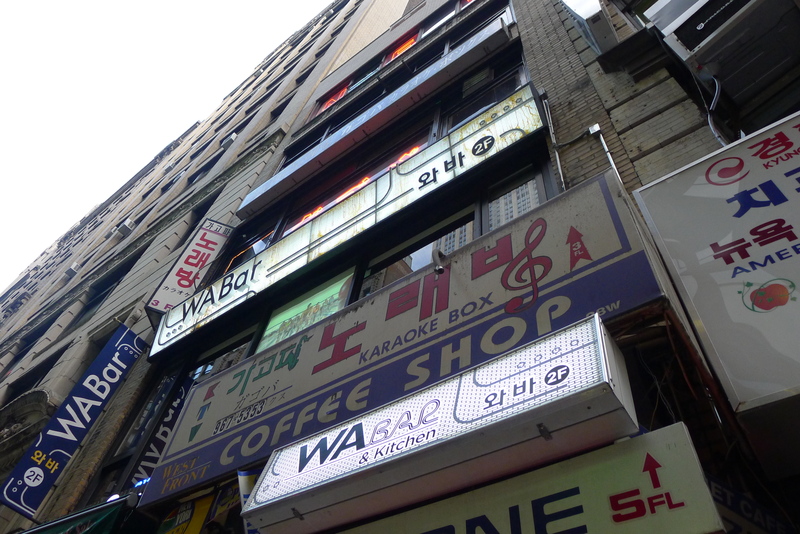 We went to Gagopa Karaoke – where I actually went out on my first ever night in the city when I moved here. 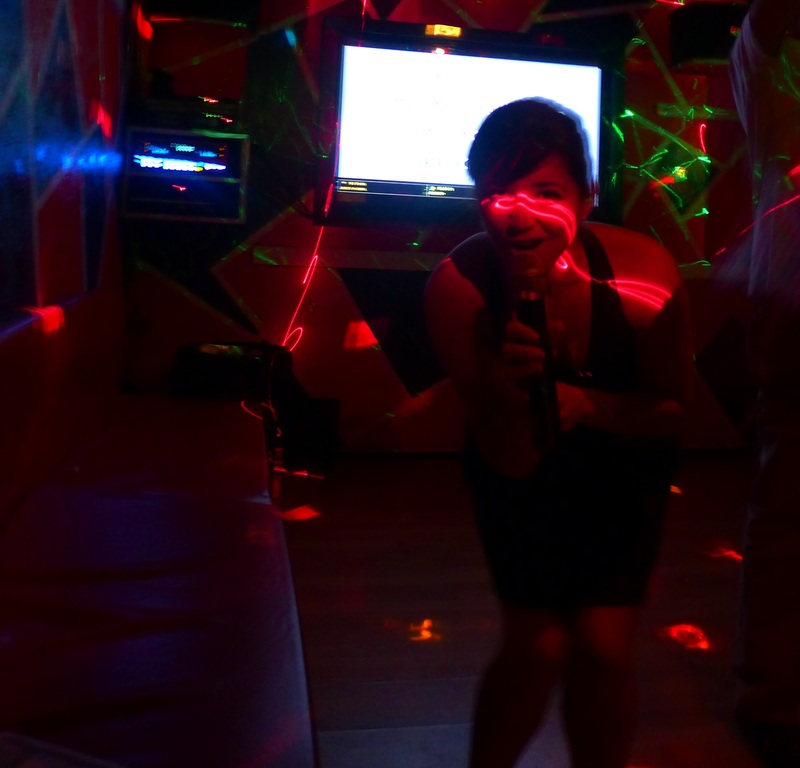 I’ve done karaoke a fair few times and I usually stick to my favourites – an impassioned Colors of the Wind and an out-of-key Torn by Natalie Imbruglia. And if I fancy being the idiot who picks a song no one else in the crowd knows, sometimes I might even throw in a bit of Alisha’s Attic, The Incidentals. 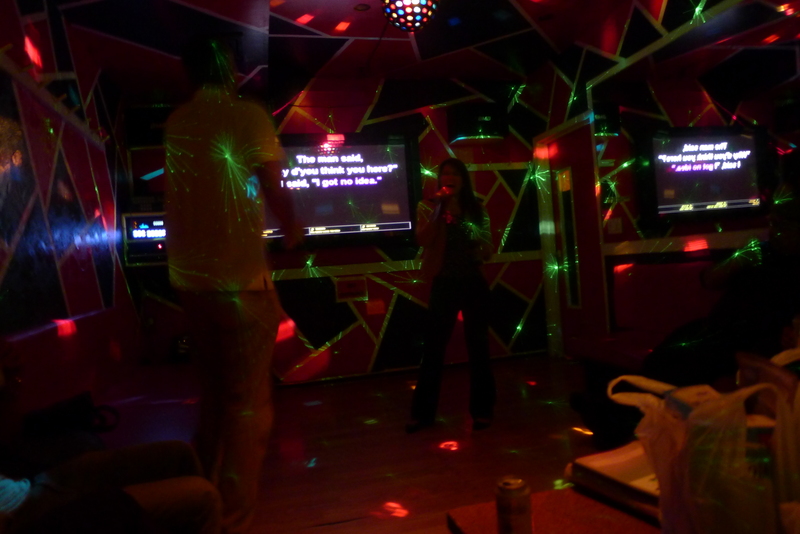 Of course this meant that singing karaoke couldn’t be a new experience for me – but rapping karaoke could. After necking a couple of glasses of wine in our massive booth, I went for a classic: California Love by Tupac. Rachel helped me out and sang the parts by Tupac, while I rapped the verses by Dr Dre. Check out the (very dark) video below – and be warned: Rather than rapping, there is just lots and lots of shouting. And who knows what happened in the second verse. It was terrible and hilarious and I loved it. I thought I’d be worried about ‘rapping’ in front of a group of people I barely know but they were a great crowd, and everyone was going all out. And I bet you can’t tell it apart from the original. You forgot to mention that you are an artist with a tambourine. Your skills make it intimidating to tambourine enthusiasts everywhere. I will have bruises for weeks. Nice meeting you guys last night! (It’s Matt) I always preferred ‘Air we breathe’ -I loved that album.